For many consumers, receiving optimal amounts of sunlight each day is important for mental health and overall wellbeing. Now, researchers have found that living in areas with lots of green space can be good for consumers’ stress levels and heart health. According to the American Heart Association, a first-of-its-kind study discovered the positive effects of living amongst greenery can have on residents’ cardiovascular functioning. “Our study shows that living in a neighborhood with denser trees, bushes, and other green vegetation may be good for the health of your heart and blood vessels,” said lead author Dr. Aruni Bhatnagar. To see just how much of an effect green spaces have on heart health, the researchers evaluated blood and urine samples from over 400 people over the course of five years and compared the results with the density of the greenery surrounding the participants’ homes. The participants were different ethnicities, ages, and came from different socioeconomic backgrounds, and the researchers used their samples to determine their risk for developing heart disease. The researchers found that those living in areas with more greenery had a greater ability to repair blood vessels. These participants also had lower levels of overall stress and oxidative stress. The researchers found that stress levels were lower in female participants, those who had not previously had a heart attack, and those who weren’t taking beta-blockers or high blood pressure medication. Overall, the researchers believe that access to greenery can only foster positive health benefits. “Indeed, increasing the amount of vegetation in a neighborhood may be an unrecognized environmental influence on cardiovascular health and a potentially significant public health intervention,” Dr. Bhatnagar said. While this study shows the benefits green space has on heart health, previous studies have shown how powerful exposure to vegetation can be to other areas of physical health. For elderly people, experiencing nature was found to increase quality of life and have other associated health benefits. Researchers found that more time spent at blue or green spaces -- like lakes, ponds, gardens, or parks -- allowed people to feel more rejuvenated and connected. This was particularly true for senior citizens. For childhood asthma sufferers living in cities, being exposed to parks and green spaces can be effective in improving asthma symptoms. Children that lived further away from parks were found to have more persistent symptoms. The researchers pointed out that city life is also associated with more air pollution, which can be harmful to asthma sufferers. However, the team found that the more time children with asthma spent in parks and engaging in physical activity, the fewer days they spent suffering with asthma symptoms. 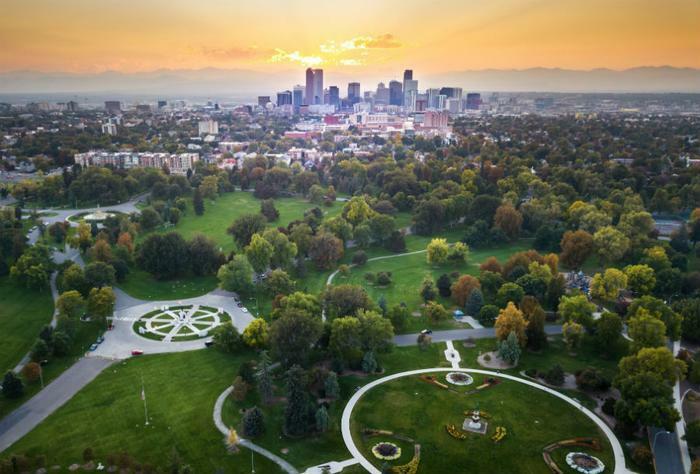 “These results are important because they provide further support for the benefits of city parks, and they suggest that the right building policies can improve children’s health,” said Kelli DePriest.